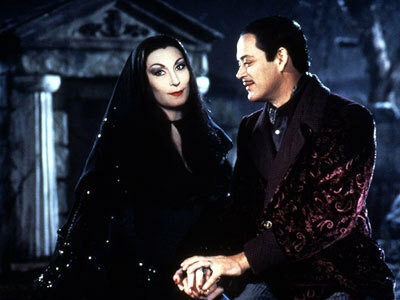 Morticia and Gomez. Morticia (Anjelica Huston) and Gomez (Raul Julia) from the Addams Family movie.. Wallpaper and background images in the Addams Family club tagged: the addams family morticia anjelica huston raul julia gomez addams. -family from youth til now!